SureFire Stove Sentry 512 For Pellet Stoves, Harman and more. Works with Most Alternative Fuel Devices. Supports Full Stove Electrical Capacity. For Wall Mount or Surface Mount Installation. The New SF 512 interfaces between a heating appliance (wood pellet or alternative fuel stove) and its AC wall outlet. When AC utility power is present, the SF 512 charges a battery and monitors the wall outlet to detect a power outage. At the moment utility power fails, the SF 512 draws energy from a battery and converts it to enable appliance operation. At the same time, the SF 512 resumes charging the battery to return it to full capacity in preparation for the next power failure. At sites where utility power is not present, the user should determine if there is a sufficient reserve of battery capacity to enable the pellet stove or kerosene heater to operate for the desired time period. Consult the Surefire Stove Sentry operating manual for data relating the size and number of batteries needed. American Energy Magnum Countryside, Magnum Baby Countryside & Magnum T40. Amaizablaze America’s Heat Nesco Irouqois, Cherokee & Cheyenne. Country Flame Harvester & Crossfire Insert. Cornglo Industries, LLC Model 3000 & 5000. Lil’ Cozy Comfort & Grain Comfort. Golden Grain Corn Stove Model 1101, 1201 & 2004. All Harman Stoves use this Model. Works with Common Marine Batteries. Instant Automatic Power Transfer. Does Not Occupy Living Quarter Space. Can Be Easily Installed. Silent and Clean Operation. These can be found at most auto parts stores. 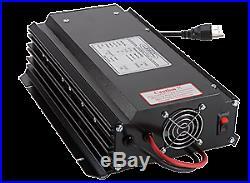 Normal model Operation (Supplying Line Power) Input Voltage Range 100-128 VAC Input Current 5.5 A Charging Current max. 12A Recharge Time max. 13 Hours FOR 90 A-HR. 12 x 7 x 3 Weight lbs. How to Calculate Backup Operating Time. Determining operating time requires the following inputs. A The size of the battery bank. Its total Ampere-Hour (A-hr) capacity. Ampere-Hour capacity is calculated by adding the A-hr ratings. Of all of the batteries in the battery bank where the batteries are. For Parallel Connection See Fig. B The current draw for the sentry in Amps (C). This can be computed by summing all of the electrical loads. Which the sentry is expected to operate. C The average operating duty cycle of the system. The duty cycle of a system is the ratio of its “on” time. If a water circulation pump will work for one minute and is. Then off for two minutes, its duty cycle is calculated as follows. D Once (a) (b) and (c) are known the operating time of. The sentry (in hours) can be calculated by the formula. 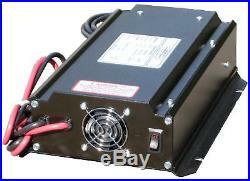 For a system with 3 batteries each rated 90 A-hr. 1 3 batteries each rated 90 A-hr. A-hr = 3 x 90. 2 A load that draws 4 Amps, C=4. 3 Duty cycle which operates 1 minute “on” followed. By 3 minutes “off”, D = 1/(1+3) = 0.25. T (Hours)= (3 x 90)/(4 x 10 x 0.25) = 27. Outdoor wood boiler maintenance. Video will open in a new window. Using the mobile app? The item “SureFire Stove Sentry 512 For Pellet Stoves, Harman and more” is in sale since Friday, August 24, 2018. This item is in the category “Consumer Electronics\Multipurpose Batteries & Power\Battery Converters”. The seller is “deepvoyage” and is located in Oxford, Connecticut. This item can be shipped to United States.